Voices from beyond the Dark is a play based on Kerry Kennedy’s book, Speak Truth to Power. The play, written by Ariel Dorfman, gives voice to human rights activists from around the world. 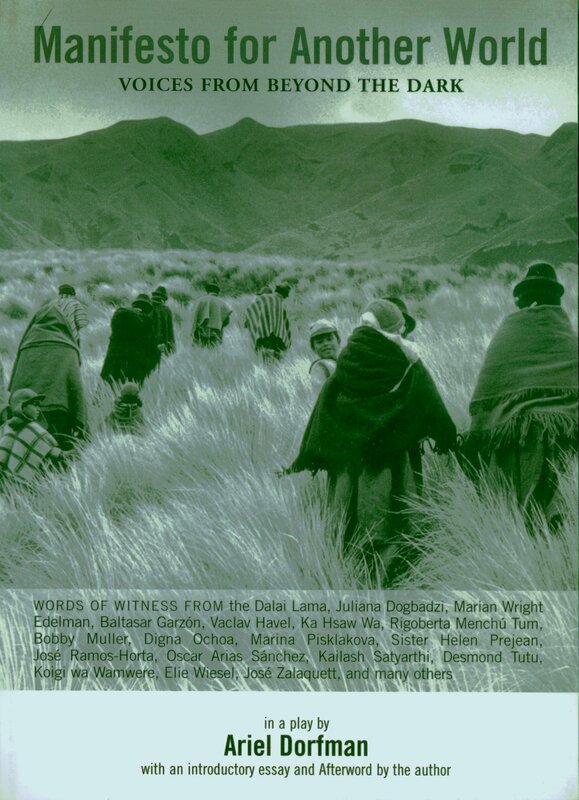 Staged reading took place at CASA, Lethbridge, AB on December 17, 2018 in celebration of the 70th anniversary of universal declaration of Human Rights. Sponsored by the Centre for Culture and Community at the University of Lethbridge. 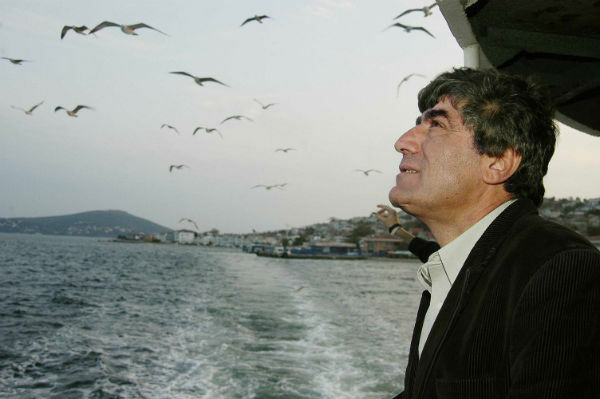 Bosphorus is a play inspired by the life and writings of Hrant Dink, an Armenian journalist, writer and human rights activist who was assassinated on January 19, 2007 in Turkey. 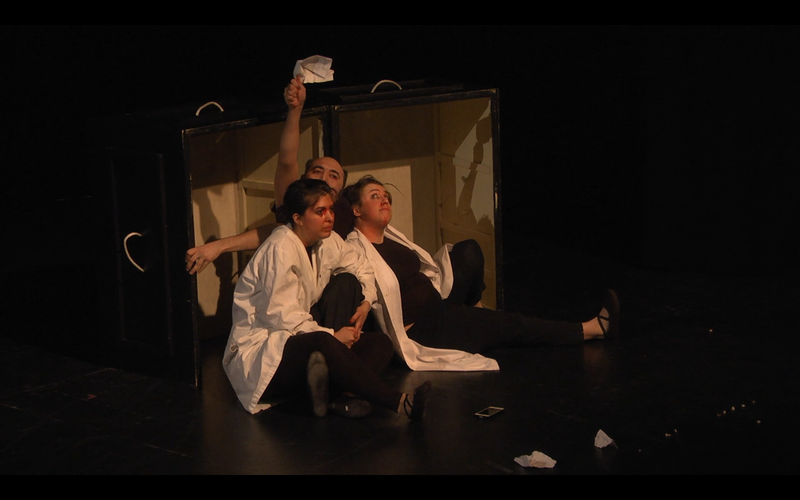 The play tells the story of Nedim, a friend of Hrant’s, following the funeral of the latter in Istanbul. It presents a phantasmagoric sailing of the two friends in Bosphorus and the conversation of the two old friends—with Nedim being of Turkish background—about their common past. What can be described as Nedim’s daydreaming encompasses a requiem for Hrant while the Armenian genocide and ultra-nationalism in Turkey set the background for the entire text with the introduction of a third character, Yener, whose anti-Armenian stances are politically inscribed into the common sense of the majority. Staged reading took place at Arts Court, Ottawa, ON on September 7, 2018. 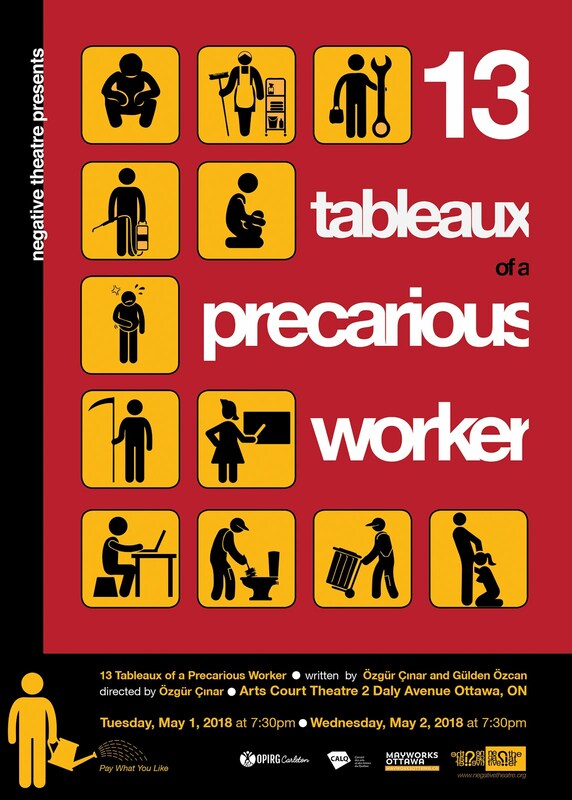 13 Tableaux of a Precarious Worker is a play about the growth of precarious work and its impacts on individuals in the neoliberal era. It tells the untold story of this insecure, non-standard, part-time, temporary form of employment that leads to the lack of benefits, low wages, dangerous working conditions, juggling multiple jobs, longer hours of work and unpredictable futures for workers. 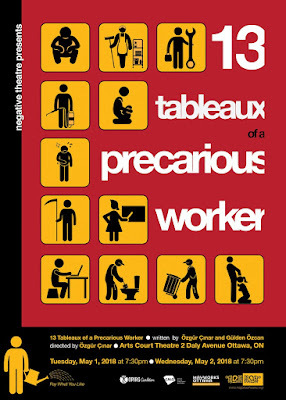 The storyline of the play consists of 13 different scenes and stories of precarious workers—from different occupations and sectors. 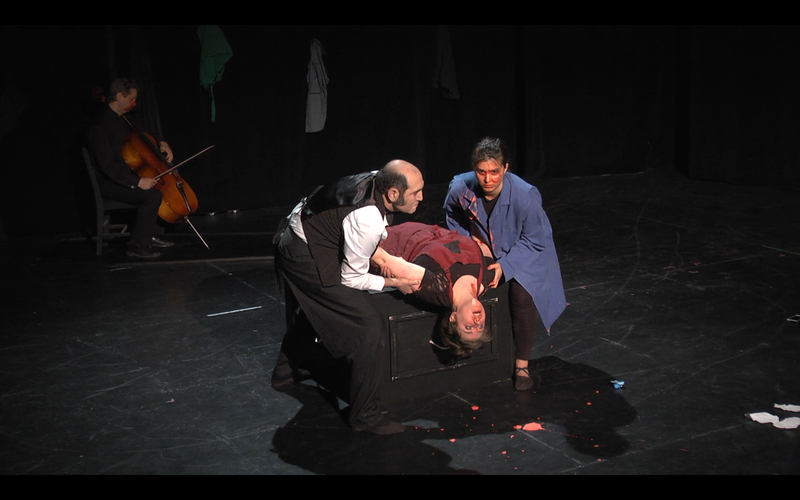 Co-authors Özgür Çınar and Gülden Özcan thank the Conseil des arts et des lettres du Québec for its financial support in research-creation stage of this play. “multinational gRape corporations” is an innovative and critical play nourished by negative dialectics. The play is about a couple whose lives have been taken over by the ongoing advertisements and fragments in particular, institutions and bigger authorities in general. It reflects an imminent critique of the effects of culture industry which we are heavily experiencing in our every day lives. 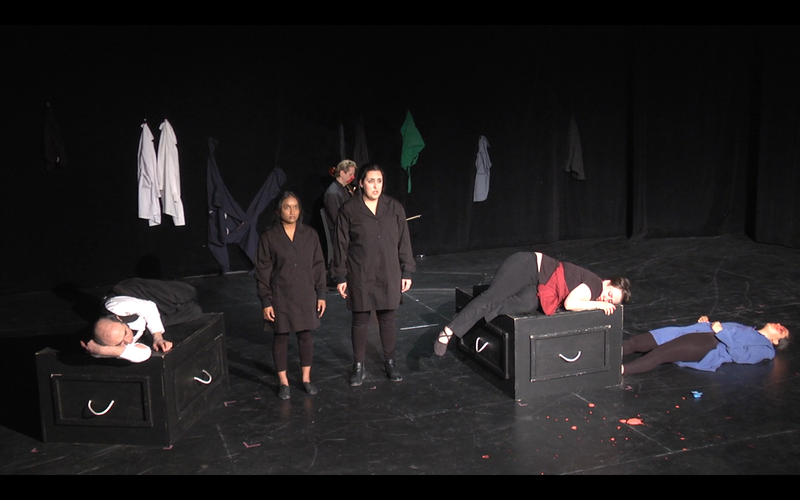 By the same token, the play is also a critique of US war in Iraq, Fascist regimes in the world, Immigration policy of Canada, current economic crises, ongoing attempts of the governments to promote precarious work and ecological crisis. Through unfolding the contradictions inherit in these realities the show tries to get the audiences think critically about these issues. An adaptation of Nicolai Gogol's short story, "Diary of a Madman", about a clerk's disintegration into madness. Written in 1834, the story contains one of the earliest descriptions of schizophrenia, by turns bizarre, funny and sad. It is a first-person narrative presented in the form of a diary. At the outset, the narrator records his frustrations and humiliations straightforwardly, rationalizing various affronts to his dignity. Over time, however, reason gives way to delusion. His intermittent encounters with Sophie, the radiant daughter of his official superior, provoke an obsession that leads to his "overhearing" two dogs discussing his hopelessness. As such hallucinations become more frequent, he finds solace--and his ultimate rationale--in a new identity as the rightful king of Spain, whose enemies have engineered his exile. Throughout the story, interludes of sanity provide striking counterpoint to the deepening psychosis. It represents the kind of cutting edge writing that placed Gogol in the forefront of Russian writers, with great influence on the generation that came after him. It seems that both the citizen in democratic republics, as well as bureaucrats anywhere are the primary targets of this short story.